A simple opening statement perhaps, made as the opening bell rung out on the trading floor of the New York Stock Exchange, at the commencement of trading on 3 April 2017. Born out of a merger between CSC and the services business of Hewlett Packard Enterprise, a long line of customers and vendors formed an orderly queue to offer endorsements, from Coca-Cola and United Airlines, to Microsoft and SAP. Such a display of unity and prosperity was nothing more than aesthetics however, the product of a well structured PR and marketing campaign. Because underneath the surface, the coming together of two titans of industry was no easy task. Globally, approximately 170,000 employees now work under the same brand, direction and roof, 10,000 of which reside in Australia and New Zealand (A/NZ). In an industry dominated by mergers and acquisitions (M&A), joining at the hip appears more challenging that splitting at the side. “DXC was created to lead the digital disruption cycle and help our clients thrive on change, built on a foundation of trust and transformation,” DXC Technology managing director A/NZ, Seelan Nayagam, said. With a global customer base topping more than 6,000 organisations — of which 3,000 are served locally across A/NZ — DXC provides expertise across an expansive line-up of technologies, spanning cloud, mobility, security and application development, alongside IT services, big data and analytics. DXC exists as a titan of industry, holding company with fellow giants IBM, Accenture and NTT Data to name but a few, while not discounting the added emergence of Deloitte, EY, KPMG and PwC as credible technology competitors. 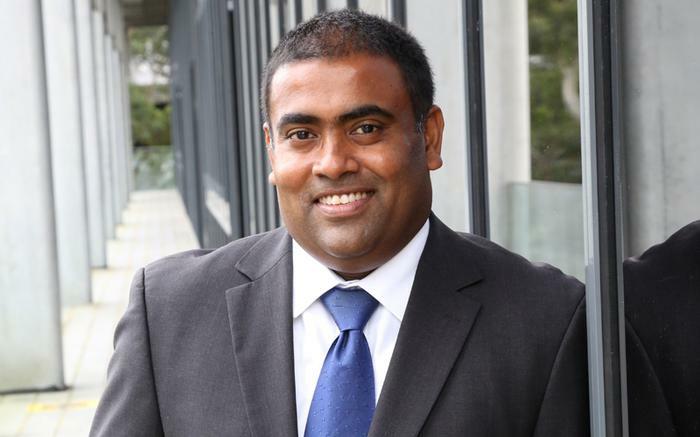 “The IT services industry is undergoing a technology paradigm shift that has strategic implications for all service providers in A/NZ,” Nayagam observed. “Innovation and intelligent automation are rapidly changing the IT services business, and companies want to maximise performance and business outcomes from technology investments more than ever before. Speaking as an industry veteran, Nayagam accepted that “competition is always rife” in the marketplace, creating a need for DXC — no matter how large — to operate as flexibly as possible to “meet and exceed” customer expectations. “Disruption from unexpected market forces is always something that has the potential to be a threat, so it is important to stay nimble and tailor solutions for each customer to challenge any possible disruptions in their industry,” he cautioned. Central to the success of DXC in the market will be the provider’s ability to maximise recent acquisition investments locally, following the CSC driven buyout of UXC in March 2016, and the more recent deals with M-Power Solutions and Sable37 earlier this year. For some staff, the email signatures have evolved from UXC to CSC and now into DXC within the space of 24 months. “Through our acquisitions, we’ve expanded our capabilities significantly and assembled the right capabilities to help our clients harness digital technologies for improved decision making, greater productivity and the creation of new business models,” Nayagam added. As explained by Nayagam, acquisitions — both locally and globally — are undertaken in line with DXC’s overall growth and digital transformation strategy. “Where there is customer brand equity, we have retained the names of the companies we have acquired,” he said. With more than half of DXC’s global customer base operating across A/NZ, it appears logical for the provider to continue investing in the local market, chiefly through increased acquisition activity. Such a strategy started in Australia through the acquisition of M-Power Solutions in March 2018, a Perth-headquartered Oracle specialist partner. By combining M-Power with DXC’s Red Rock practice, the tech giant aims to solidify its position as the “undisputed leader” in Oracle Cloud solutions locally. “The acquisition of M-Power is a key part of Red Rock’s cloud-first strategy,” Nayagam explained. “It will accelerate the digital transformation journey for DXC’s enterprise clients and extend its strategic cloud migration services into DXC’s client base. Furthermore, the company gobbled up another specialist partner in Australia a month after closing the M Power deal, enhancing market capabilities through the acquisition of Sable37. Headquartered in Melbourne, Sable37 provides expertise across Microsoft technologies, operating as one of the leading global partners for Dynamics 365. The move was further supplemented by the acquisition of another Microsoft partner in eBECS, a provider based in the UK. From an integration perspective, both businesses will be combined with DXC’s Eclipse practice, allowing DXC to significantly expand its Dynamics 365 cloud capabilities across the UK, Australia, New Zealand, India, UAE, Saudi Arabia, the US and Canada. “We are always open to acquisitions that can add value to or enhance our digital transformation strategy,” Nayagam explained. In the year ahead, Nayagam said DXC will continue to work closely with customers across major sectors on both sides of the Tasman, including government, healthcare, insurance and banking. The move comes as digital transformation continues to absorb a greater share of IT budgets locally, as end-users place higher priorities on digitalisation. According to Gartner research findings, CIOs across A/NZ exceed global peers in their expectation of digital spend from the IT budget, as well as in projections for the remainder of 2018. In short, more local businesses are investing in digital initiatives and fewer in core systems such as ERP. 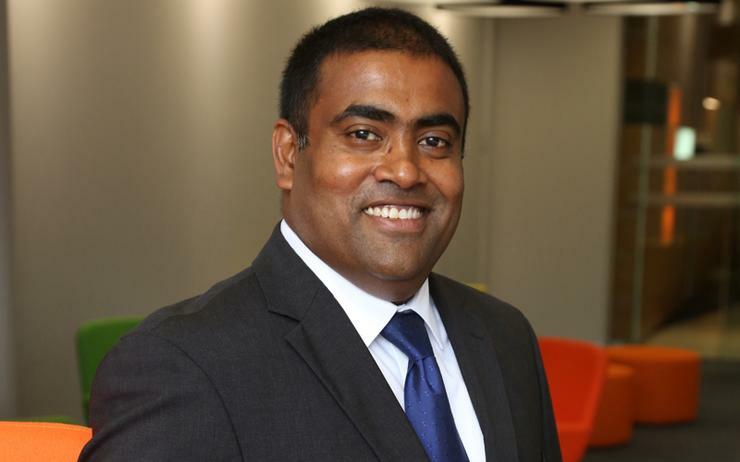 “We are uniquely positioned to lead digital transformations and create greater value for our people, clients and partners in Australia,” Nayagam said.